The Congress President Rahul Gandhi on Monday, the 15th of April was accused by the Supreme Court of India for misquoting the court on the Rafale order it had given last week. A notice was issued to Mr. Gandhi, and he was granted a week’s time to explain before the court takes up the contempt and defamation suits against him next Tuesday. Last week, the Supreme Court in a ruling said that the classified documents accessed by the media can be used as evidence to consider requests to review a verdict clearing the Rafale jet deal. While addressing a rally the Congress President hit out at Prime Minister Narendra Modi with jibes chowkidar chor hai (Chowkidar has committed theft). Mr. Gandhi claimed moral victory and said that the court has made it clear that Prime Minister Narendra Modi “committed theft”. 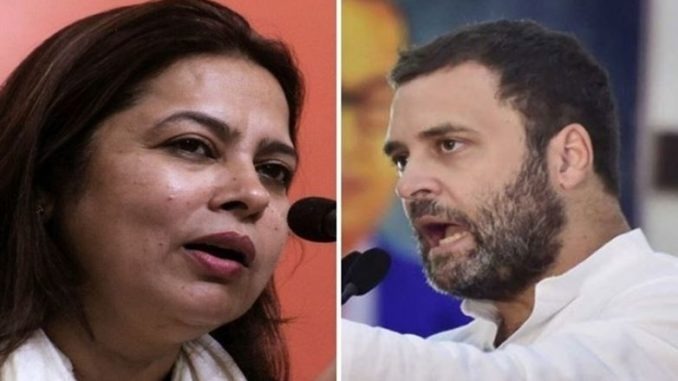 Soon after these comments, the Bharatiya Janata Party filed a contempt plea in the top court for levelling unsubstantiated charges against Prime Minister Narendra Modi over the Rafale deal, while their spokesperson Meenakshi Lekhi filed a defamation suit against Mr. Gandhi. The BJP led by Defence Minister Nirmala Sitharaman approached the Election Commission demanding action against Rahul Gandhi over his remark against Modi on Rafale deal. The Supreme Court today added, “We never made any such observations commented by Rahul Gandhi”. Rahul Gandhi would now have to submit his response by Monday, the 22nd of April and the next hearing on the matter was fixed for the 23rd of April.